In the past two decades, scholarship on women’s agency as designers in the domestic sphere in Europe, the Americas and Asia has flourished within the history of design. Architectural history has also seen significant research into the formation of modern architectural practice in Japan. Nonetheless, scholars of Japanese history have not directly compared the emergence of the male architect and female housewife as gendered ‘design professionals’. Teasley’s essay, which developed from a peer-reviewed conference paper for the College Art Association and appears in this interdisciplinary, multi-country peer-reviewed volume on beauty and femininity in early modern and modern East Asia, does precisely this. By comparing the concept and significance of beauty as defined for architects and professional housewives in late 19th- and early 20th-century textbooks, manuals and professional journals, Teasley provides insight into the different paths to architecture and design practice – professional and amateur – offered to Japanese men and women in this period. She argues that gender norms in Japan during this time required both men and women to create architectural beauty, but in different spaces, for different purposes and with a very different aesthetics: universalist and rational for men, and nationalist and ‘traditional’ for women. 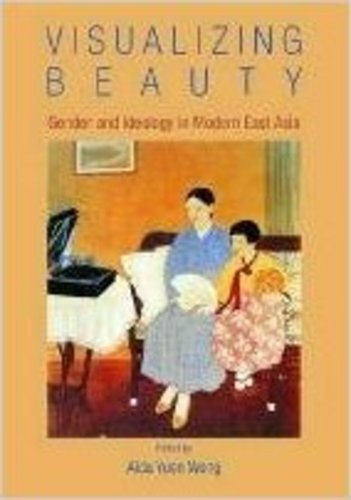 The chapter traces the origins of these two conceptions of beauty in imported Western architectural and domestic economy theory, and in reinventions of earlier Japanese attitudes towards gender, class and making. In so doing, it uncovers previously unexplored historical connections between Japanese, American and British architectural theory and education in late-19th-century Japan, and places Japanese modern architecture and domestic economy within a global framework. Teasley was also invited to present this research as part of a week-long multi-seminar guest lectureship at Parsons the New School for Design (2011).